Have you heard of this app? It's really and truly wonderful. I remember seeing a friend of mine using it a couple of years ago and I thought how cool it was...but I was sure I could never keep up. I later saw another friend's finished video from her 2015 year and it was simply amazing. I knew that it was something that I had to try for 2016. Watch my 2016 video below...with sound and you'll even hear snipits of voices and laughter. There are a lot of days that seem the same in our home...kids to school, kids to practice, mealtime and homework. There are many days that we're up and out of the house when it's still dark and home from practice after dark...there are many days where I do wonder if we're really capturing anything with the silly little one second. And then I sit back and watch the video above and I'm so grateful that I make the effort. And when I hear that my daughter logs into Facebook just to watch it...that makes me happy too. If you get a moment, check out the website, download the app to your preferred device (your phone...although I do have it on my tablet also as my devices are linked) and give it a try. There's a great support and idea group on Facebook and so many great things that you can do with this project. Use the inspiration that you see on the site and other videos that you see online, but don't get too caught up in being perfect...the whole idea here is to start. Just start. Don't feel bad that you didn't start on January 1st...don't think you need to wait until the 1st of the next month. Just download the app and start today. Stay consistent with your video orientation...I always shoot in landscape mode. You can add titles and music over your finished product, mine is pretty raw (I'd love to take the time to add a title) but I love the little voices that I hear throughout the video, so for me for now, no music. You can use the app to create custom "freestyle" videos - think about a video of snitpits of your vacation, or a sports season or any other great event in your life. You can have several timelines going at once and create some really awesome projects. Get your kids and family involved. My kids know when I pull out my phone (especially in landscape mode) that I'm taking a video. Sometimes I get the hand in front of the face and other times I get great cooperation. Both are good - that's where we are in life right now. I also have kids asking at times - "what will you do today for your 1 second?" It's great to get them to buy in. I would love to see what you come up with for your video or if you have any fun ideas for this favorite app of mine. One Little Word is a concept made very popular by the talented Ali Edwards. She has incredible content on her blog explaining her process and shows examples over the years. She also teaches a year long class based on this idea of living with a word for the year. Head on over to her blog to get more details about One Little Word. Resolutions are great - and I do still do a lot of goal setting and planning for the year. I typically find that over the course of a year I tend to struggle in one particular area or another...sometimes is needing to lean on my inner strength more, sometimes it's needing to focus on the task at hand more, sometimes it's needing to work smarter...and this year I just want to remind myself to begin. Instead of focusing on the things that I wanted to stop doing or the things that I might want to change in my life, I decided that the best thing for me going forward in 2017 was to begin. To begin to do the things that brought me more joy. To begin to do the things that I need to do in order to have a happier home. To stop waiting for the right time and just begin. I'm looking forward to this year, to the new possibilities, to achieving the goals that I set out for myself...I know the only way to get there is to just begin. July wasn't too heavy in the instagram department and I think that is directly related to my inability to stick to #thebethadillychallenge. 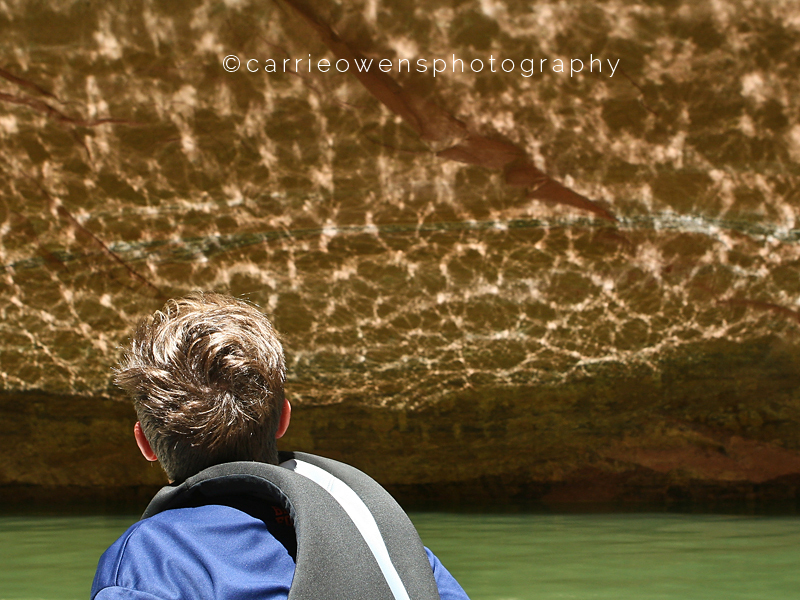 Also, it was a busy month with a trip to Lake Powell - yay! - and the Utah State Swim Meet for my kids. I had been doing great with this project for months and I love it...but for some reason I've really slowed down and have become entirely too inconsistent. Now that we're a couple weeks into August I can say that I'm somewhat back on track. But come September, I'm challenging myself to really focus! I love the challenge that Beth has put together and I find that it really does push me creatively on my photography. Who's going to join me? It's not too late to pick up and start any time. Make sure that when you post you use the hashtag #thebethadillychallenge on instagram when you post your image - and if you've got some time, scroll through the feed to find some great inspiration!! Summer is in full force and that means vacations and staycations are as well. For my family that means our annual trip to Lake Powell in southern Utah, one of my favorite locations to photograph. 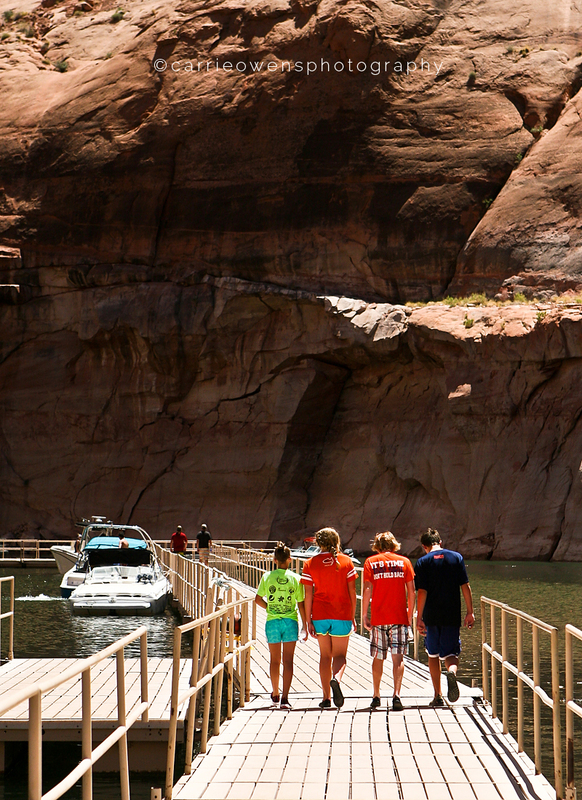 My husband's family has been going to Lake Powell nearly every year since the lake opened in 1963 (it's a man-made lake) and he has been going most of his life as well. 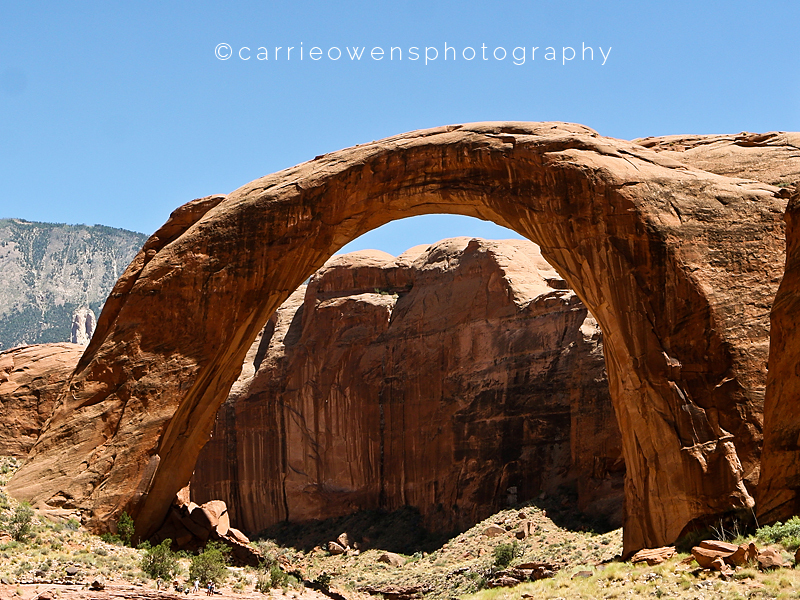 We also spent some of our honeymoon there and a week nearly every summer since we have lived in Utah (I think we missed the summer our daughter was born, but I remember bringing my boys there when they were each just six months old). The most important thing to remember is to bring a camera...but don't get too caught up in making sure you have the best of the best. The best camera you have (as I always say) is the one that you have with you. I usually will bring a "big" camera (I shoot with a Canon 5d Mark ii) and will take a lot of photos with that, but I always make sure to shoot with my phone as well. This year I'll be bringing a GoPro as well...what about video? Think about the story you are trying to tell. You want to get images of the people that you're with on your vacation as well as the little details - don't forget the details!! Look at the overall scene...environmental shots are so important as the landscapes (urban and otherwise) change so much over time. where do you go? excursions? where and how do you sleep? the local people and culture - make sure to get as much of this as you can! Looking back over these posts above it makes me so happy that I've been able to travel to these places. There are many other trips that I've been on where I've only taken my phone to capture the events and I'm just as happy with those images. For me, the most important thing about vacation photos is telling the story of the ones that I love. And someday soon there will be Norway photos to share :) I can't wait to get through those! This is a tough one for me. I am great...overly great...at taking photos of my kids. They would probably argue that I might just take too many photos of them. But I think that someday they will be grateful for that. I know that my mom took a ton of photos of me, she even got teased about it, but I am so grateful for those images. I love being able to look back at my childhood through her eyes and to be able to share those visual memories with my kids today. Even with as good as I am about documenting my kids, I really struggle with images of myself. I'm not so great at getting photos of me. Or of us together. Not so great at all. But I am trying. Last year I did a month long series on Documenting your Everyday Life and a friend of mine asked me about part way through when the day about documenting ourselves was going to be posted. I hadn't even really considered that one. I don't like being in front of the camera. But I knew that she was right. So I created a post about documenting you and made a promise to myself to get in more of the images. I think that I've done better. Still not great. On my trip to Norway I watched my cousins snapping selfies left and right and finally joined in...when in Rome (Norway?). I also took some selfies with my mom - so grateful for those. And when I got home, I continued the trend with the kids...for a little while. I've slipped again. I know for me, I feel really silly taking selfies. Today's teens are so great at it, but I kind of feel like an old lady taking a selfie...but it's a good habit to get into. Master the selfie. I also (as many women do) feel a bit self conscious about my appearance. "When I lose 20 pounds I'll take more photos with the kids" and similar thoughts. I need to tell myself what I tell my clients: This is important. Your family loves you for you. Think about the love you have for your family and that joy will shine through in your images. what can you do to get in photos? I’m going to ask someone to take a photo…either my husband or a kid, whoever. Use the timer feature on my phone and my big girl camera. Continue with the feet…I must admit, I like the feet images. Get over myself and my insecurities. Easier said than done, but if I’m expecting my kids to let me take photos of them, I can’t very well say no. My challenge to myself...and to those that are up for it...is to try and get in at least one image this week. At least one. And if you have kids, get in an image with them. It's so important to live their lives with them and to document that. Just because they're 14 it doesn't mean you have to stop. In fact, if you get the chance, there might even be a good story to tell. This image tells such a great story for my little family. I love that my son fell asleep with his light on, that tells me he was pretty beat, staying up later than he (and probably I) intended. I love seeing his football cards, all organized in their sleeves and carefully arranged for him to look at and study. I love thinking about this big kid, so happy that I've had the opportunity to watch him grow in to this football loving teen. I love that his white bear from before he was born still has a spot in his room and is perfectly illuminated by the light. What everyday things can you document today? I know 14 years is a long time. I get that. But when I look at my oldest it's still crazy to think about how much he's grown. It feels like he was just this young, just this little...and all at the same time it feels like I've known him forever. I have to admit...I do love this age. This age where I can talk and relate to them and I know that the memories that we're making now are ones that we will all remember. These are good years. Just full of lots of changes. Changes that I'll forget if I don't start documenting them. What's changing fast at your home? Are you making sure that you're telling the story? I had this idea in mind when my big brought home these football cleats - he loved them so much, they were his first orange and black cleats and I wanted to tell the story of how much he loves them. And I was floored at how huge they were. 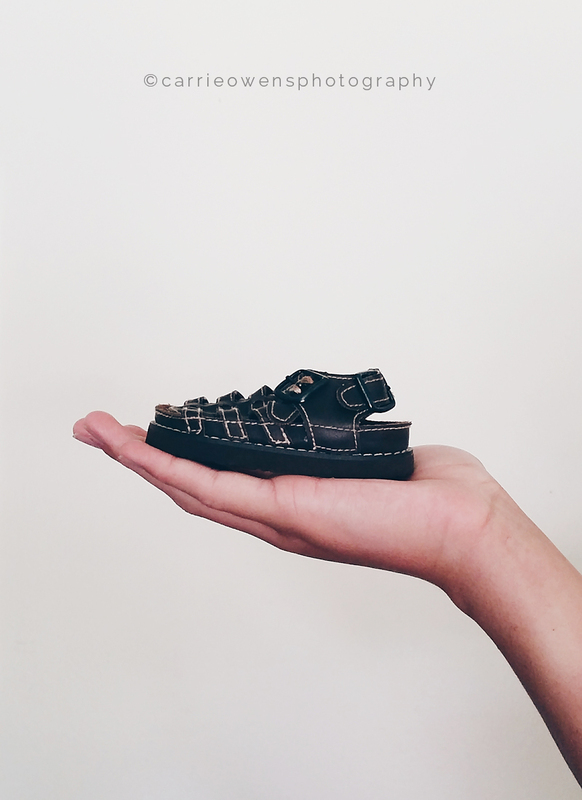 Just like his dad...size 14 shoes at 14 years old. Each of the three kids have all used each of the three bedrooms upstairs at one point or another since we've moved in. Now they are all pretty settled and the big has a finished room, the girlie's room is under construction and the little's room is still in decision mode...we need to make a plan there. For this week's prompt of "bedrooms" I decided to go in and capture little tidbits of their rooms that tell me something about who they are right now. Only three years separate the oldest from the youngest, but their rooms each tell such a different story. Read on (and click on the photos in the strip to see larger) to see what I chose to document about their bedrooms. For my big kid...what did I want to make sure that I didn't forget? His room is (nearly...waiting on one last thing) the finished bedroom in the house, designed to his idea of a Seahawks bedroom. He seems to love it, spends a lot of time there...which I think is important. I love that he has a space in our home that feels like his that he can escape to when he needs. 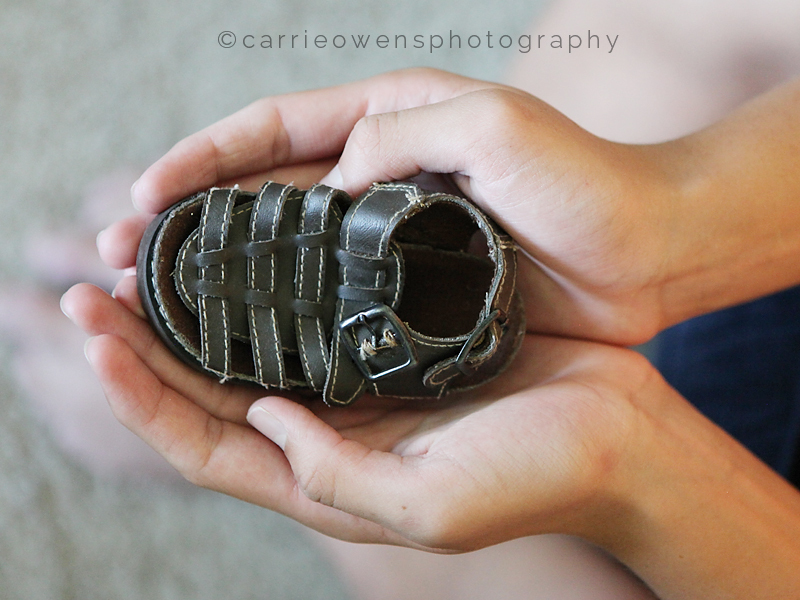 If you want to see more about his room, click on this post on the carrie owens photography blog. (an updated post with sources and some new art will be coming to this blog soon). Her room is mid-redesign, but her story is still here. I love that (just like in the other two kiddo's rooms) there are always a few water bottles that need to be taken back down to the kitchen sink. I love that her crown from her Halloween costume is still on her dresser. I love that there are currently thumbtack holes next to little notecards with her quotes and sayings that scatter the walls. Those will be patched up soon, painted over and her notecards will be attached to bulletin boards, but for now, I love that she expresses herself through these little notes. What I love about his room is his personality is starting to emerge and you're starting to see the things that are important to him. He's recently started writing a book, so it's front and center on his dresser with his pencil and sharpener. I love that his collections are starting to shape themselves and that he still has stuffed animals on display. I love that he can clean the center of his room like nobodies business...but can't quite sort out the perimeter yet. Which really means that he needs a better storage system. And might need to get rid of a thing or two. what is the benefit in documenting this? For me, I love looking back on photographs of my own childhood and seeing the things that I cherished enough to give them a prominent place in my bedroom. I want my kids to have that same opportunity. I also love that if I took a look back at a photo of their bedrooms from 3 years ago - they would look and feel completely different and tell such a different story. If you want to read my post about documenting your everyday | bedrooms from the series I wrote about documenting your everyday life, click on the button below. It's here...no school, no homework, lots of sun, vacations and staycations. Shorts and sandals, otter pops and bbqs, sun bleached hair and lots of sunscreen. Aside from fall and winter and spring, summer is pretty much my favorite season. I'm kidding...kind of. I do love summer, but the heat here in Utah is less than desirable for me. It's my daughter's favorite season, she's an early summer baby and she loves the outdoors and anything water related (might be why she's such a dedicated swimmer). Over the years I've gotten a little used to the sun, I try to embrace it, but as a blonde who often forgets the sunscreen, I'm not quite in love with it yet. But for me, the best part of summer is getting to spend more time with the kids relaxing, exploring and making memories together. We're working on our summer bucket list (we put one together for Spring Break and we were able to cross everything off of our list!) that I'll be posting about soon but for now I want to talk a little bit about summer photo tips and ideas. Always remember that the best camera you have is the one that you have with you. If there's a shot to get, take it. Don't wait to run inside the house to get the big camera, grab your phone or your kid's phone or whatever you can find and get that shot! When getting your shot look at where the sun is falling - are you getting big shadows on your subject's faces? Is there a better position that you could get into to eliminate those? Be sure to move around when you're shooting. Don't forget the little items that are essential to summer...sunscreen, water guns, flip flops, etc. Get environmental shots as well as closeup shots and images of the overall scene. Varying your perspective will get you some great images. One of my biggest tips (and one that I'm working on) is to get in the images! Take selfies with your kids, ask a friend or your spouse (or a stranger!!) to snap a photo. You need to be present in your images. Make this a priority, your children and future generations will thank you. If you're thinking about getting a summer bucketlist together, these photo ideas are a great jumping off point. I'd love to see some of your favorite summer images. Leave a comment with a link to some of your favorite summertime shots that just scream summer. Next week I'll post my summer bucketlist and talk a bit about how we plan on tackling that list.